With the Skull sceptre, you can teleport to Barbarian Village. This can be useful for slayer tasks in the Stronghold of Security. To get the sceptre, you have to kill monsters on each level of the stronghold until they drop their piece. Each level has a different piece of the sceptre. It will self-destruct after 5 uses, it is possible to keep track of the staffs charges through the "divine" option when it is in a players inventory. Players can only make and keep one skull sceptre at a time - a new skull sceptre can only be made once the old skull sceptre is either lost, destroyed, or has disappeared. There is no limit to how many strange skulls or runed sceptres a player can own. The skull sceptre and all its parts cannot be traded or be withdrawn as noted items from the bank. 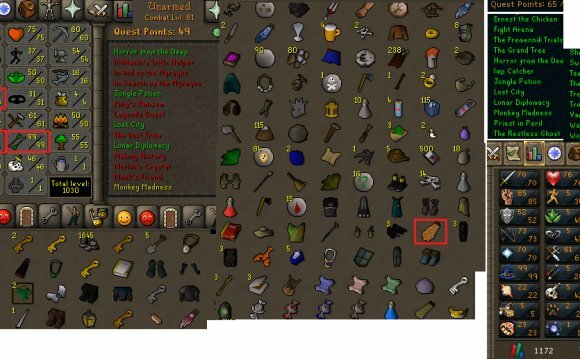 Having a sceptre in your bank or inventory will not prevent more parts from dropping. The skull sceptre is needed for the Varrock achievement diary.